Written by Rob Stott — Music streaming services have been welcomed into the club. On Thursday, the music industry’s official logo mark for Hi-Res MUSIC, which previously was applicable to primarily high-quality digital download services, made the decision to include music streaming services as well. The decision was made and announced by the Recording Industry Association of America (RIAA) and its member companies including Universal Music Group, Sony Music Entertainment, and Warner Music Group, in cooperation with the Recording Academy Producers & Engineers Wing, the American Association of Independent Music, and DEG: The Digital Entertainment Group. 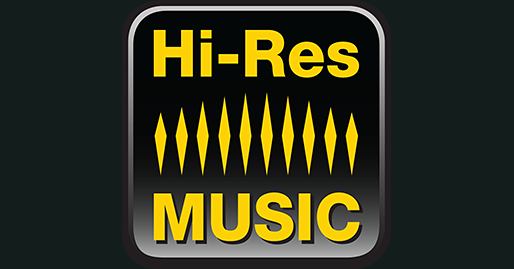 Hi-Res MUSIC logoThe Hi-Res MUSIC logo and accompanying definition was first announced in June 2015 by RIAA on behalf of its members. It was intended to focus on the various types of digital files and download services that met the definition’s requirements. In the year since its introduction, nearly a dozen download services have adopted the definition. RIAA explained that expanding the definition to streaming services will help ensure that these technologies provide listeners with an audio experience that preserves, without loss of information, recordings from sources that achieve a minimum of 48kHz/20 bit resolution. RIAA referenced a number of data packaging technologies under development that can support the streaming of hi-res music files to consumers in a more-efficient manner. Among them: MQA (Master Quality Authenticated) and MPEG 4 Audio SLS. These and other approved hi-res streaming techs will enable licensed services to display the Hi-Res MUSIC logo mark on their landing page or next to an individual album or track, RIAA said. If the resolution of a recording falls below the required minimum standard at any time, the user will be made aware of the change. The expanded Hi-Res MUSIC logo requirements for streaming services will be made available to interested parties on June 1.